When Sotheby’s sold this tiara in 2011, they called it one of the most important jewels they’d handled in the previous 30 years. The most important they’d seen since, well, the last time they auctioned the very same tiara. And it ended up setting a record as the most expensive tiara ever sold. 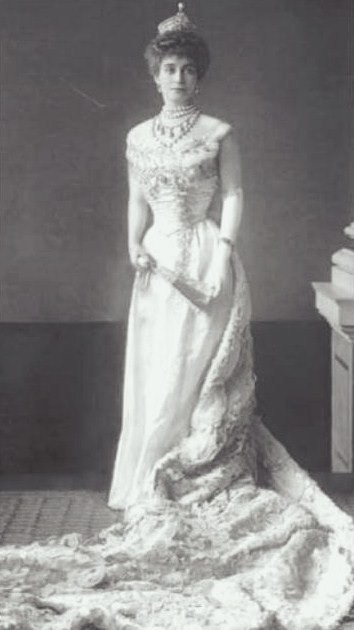 The tiara was commissioned by German prince Guido Henckel Von Donnersmarck (1830-1916) for his second wife, Russian aristocrat Katharina Slepzow. Guido Henckel Von Donnersmarck was perhaps the richest man in Germany and one of the richest in Europe at the time, and the family jewel collection was known to be impressive. The diamond base of the tiara showcases 11 large cushion-shaped diamonds with a hint of yellow to their color. These stones are surrounded by pierced and millegrain-set rose and brilliant-cut diamonds, with lily of the valley motifs between the cushion stones, a line of laurel leaves below, and swags above. The base of the tiara is a showstopper on its own, yet it merely plays second fiddle here to a top row of truly exceptional emeralds. These 11 polished, pear-shaped emeralds are graduated in size and add up to approximately 500 carats all together. Colombian in origin, they are perfectly matched and perfectly colored. 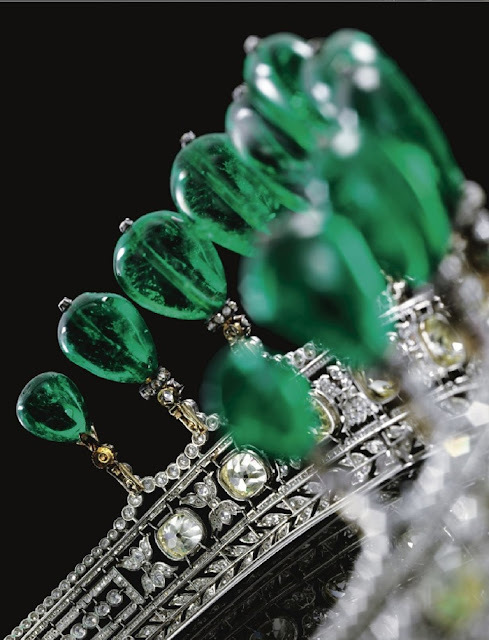 They are also drilled all the way through the stone, a technique which can be a bit jarring to an eye accustomed to more modern settings, but which speaks to the long and illustrious history of the emeralds. Both the shape and the drilling method are typical of stones shaped in India around the 17th century, and these were likely a feature in the collection of a Maharaja or some other such figure. The emeralds then made their way to France around the 18th century. 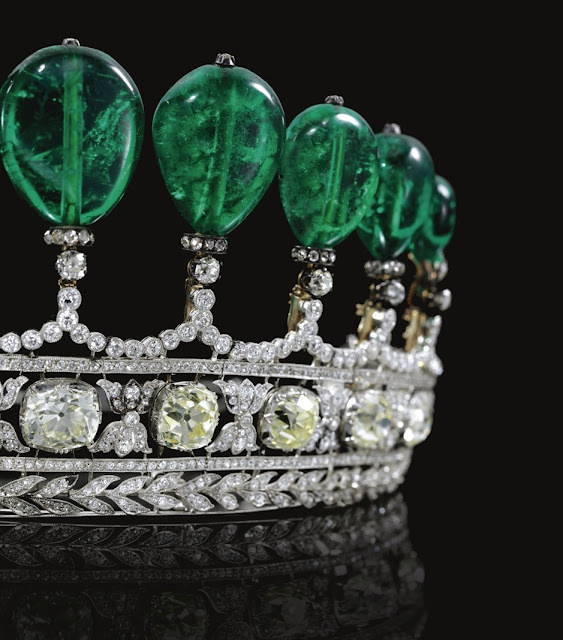 When the tiara was first sold at Sotheby’s in 1979, it was noted that by family tradition, the emeralds had belonged to the French crown jewels. The 1887 sale by the French government of the crown jewels did not, however, include many emeralds; it’s more likely that they may have been part of the personal collection of Empress Eugénie (1826-1920). 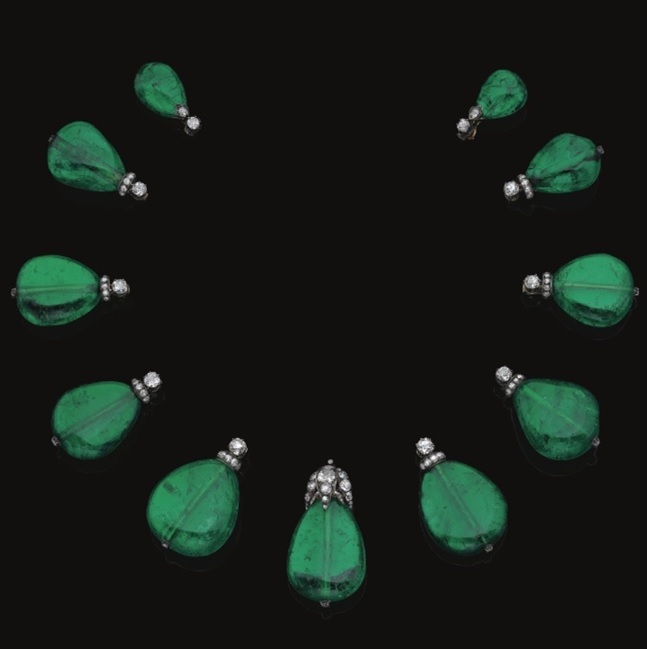 A set of polished emerald drops were among the offerings when her personal jewels were sold in 1872. It is also known that Guido Henckel Von Donnersmarck purchased pearls from Empress Eugénie’s collection for his first wife. 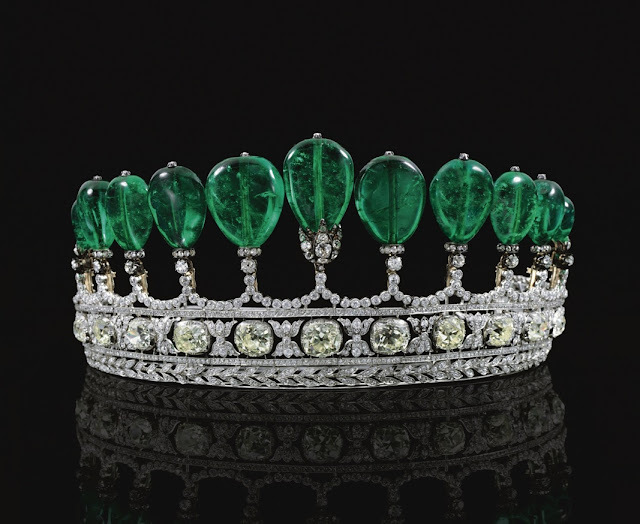 The emeralds found their home in the Henckel Von Donnersmarck Emerald Tiara around 1900. The Belle Époque design isn’t signed by a jeweler but it is of the quality of the greatest French maisons; Chaumet is a likely candidate for maker. The family were patrons of both Chaumet and Boucheron. Do you agree that this one is grand enough to compete with the best collections?